The light that illuminates the sheath of the veil, the smile passed between father and daughter, the white-toothed grin of the flower girl as she spins her way onto the dance floor — all moments that can be made indelible with the skillfully timed click of a camera man. The right wedding day photographer will seek out the slivers of moments that embody the happiness in the moments you value most and manifest this in a picture. Choosing this person therefore, means finding a photographer who understands the type of beauty you want to visualise. Bride and groom to be should take the time to browse through portfolios of several artists before making a decision. Blindly selecting a someone that your friend recommends or picking one based on high ratings alone won’t do — wedding photography is highly subjective. Style, angle and overall ambience that the photographer instils in his images should be a direct reflection of the particular qualities you want accentuated on your big day. Ask them to describe their style. Listening to the artist describe their vision and how they implement it in photos is a standard prelude to actually surveying the images yourself. It is especially important for them to tell you how their style differs from that of other photographers. While innate talent, experience, and ability to capture the style you want to convey is an essential criteria for hiring a wedding photographer, it is also important that you connect with them personally. A strong rapport and natural connection with your photographer is imperative as he/she will be more eager to complete the job efficiently and more understanding of the image you want to convey. By providing your plausible photographer with a survey of some images that you are drawn to, you can give them a sense of what you want to be instilled in your own wedding day photos. This one is obvious but absolutely necessary: make sure to underline the exact date you intend for your wedding to ensure you have enough time to book in advance. Follow this up with asking how long they have been in business to establish credibility. No matter how confident you are with your choice of photographer, establishing the guidelines for the contract is one task that is absolutely necessary. Make sure that a written contract is provided to you well in advance of your wedding day listing any cancellation policy tenants and inquiring about the amount of the deposit and whether they will offer liability insurance. These mundane tasks may seem unnecessary, but it case of last minute cancellations it is always better to be prepared. 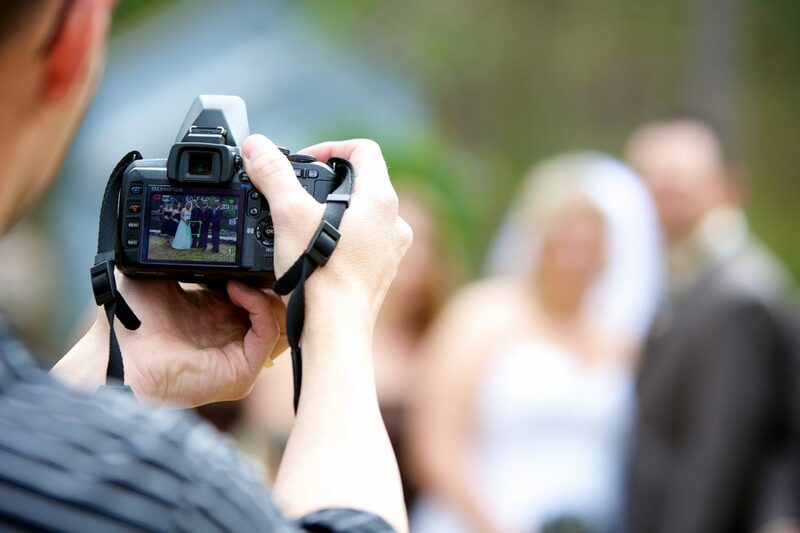 With these simple but fundamental guidelines covered, hiring a wedding photographer should be an exciting process. This is the person, after all, who will encapsulate your wedding day at its most exquisite. Once the unwanted stress of possible cancellations or incompatible vision is eliminated, nothing remains but to enjoy the images to come!